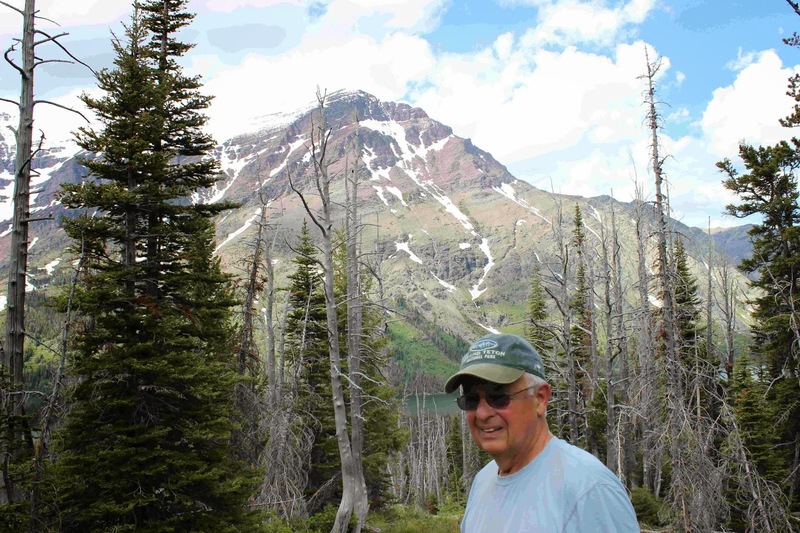 This is the second of three issues about Glacier National Park. To see the first--Apgar--go to the following issue below. The sites were all on a first come , first serve basis. 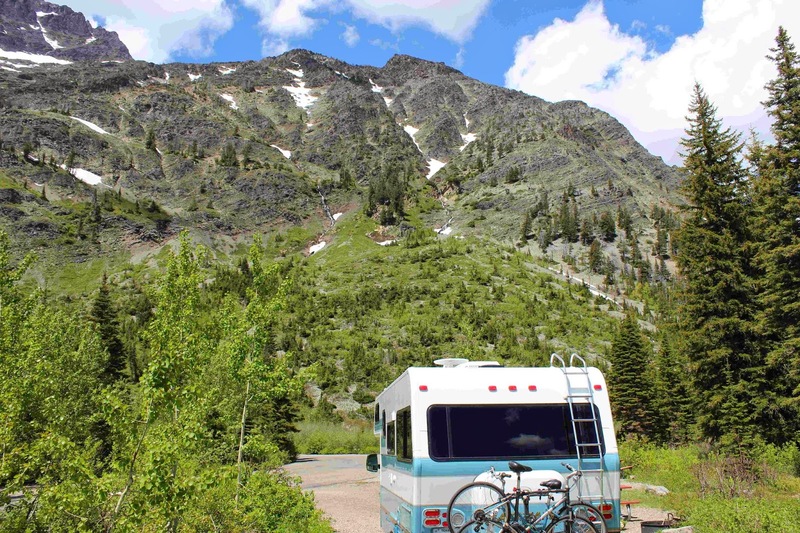 There were open sites, but the campground was busy. Again, many hikers. 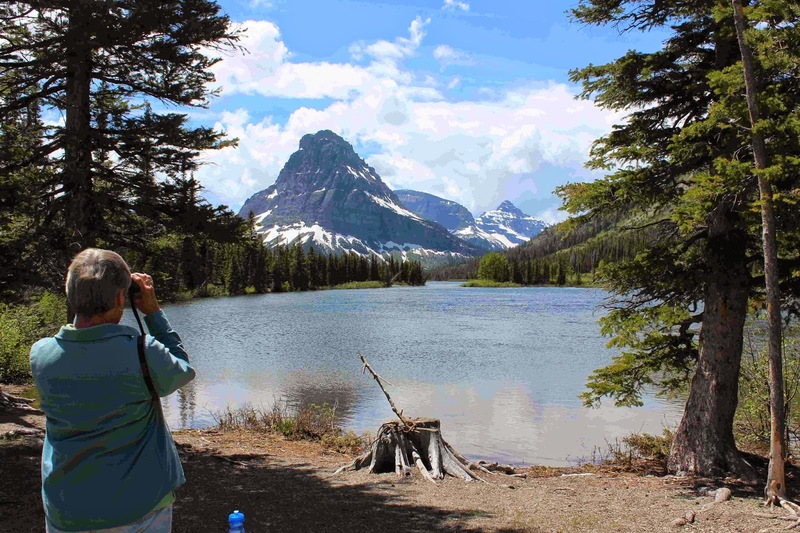 For those who have not been into Glacier, there are many trails--some go for miles and miles. 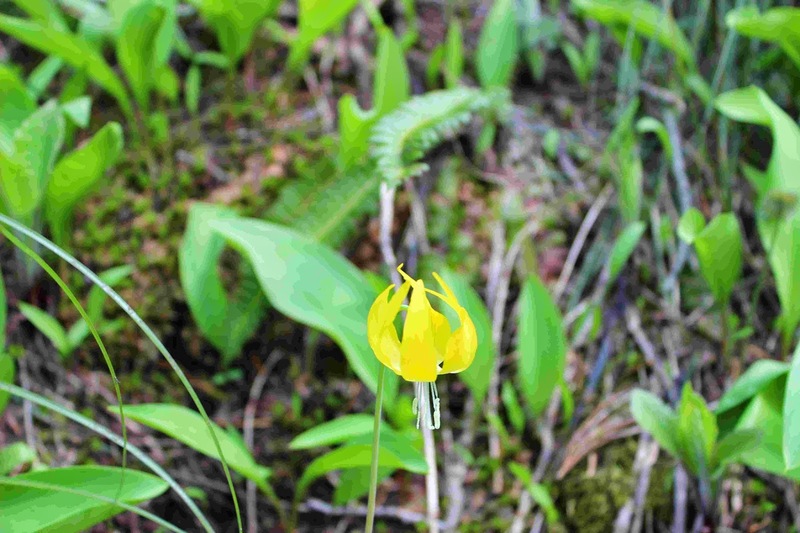 There are designated backpacking campsites, called backcountry campgrounds, along the trails. They do require you to register -a safety measure. 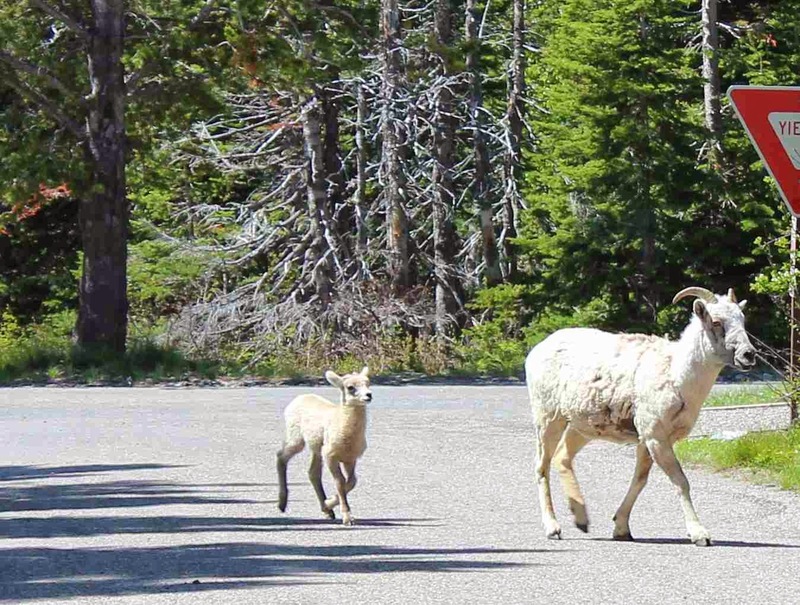 There are a number of Bighorn sheep that visit the campground. This is a mom and lamb. The males have the big rounded horns--so the ranger told us. We were thinking mountain goats. 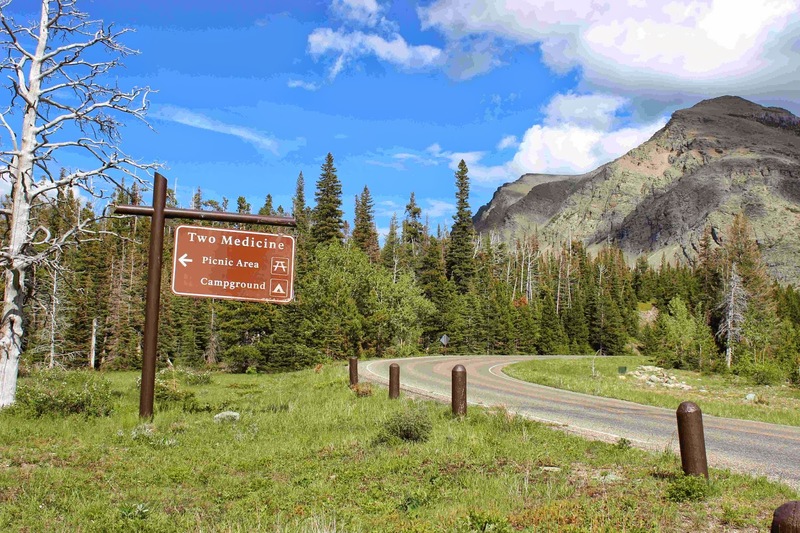 Some of the trails start from Two Medicine Lake. The views are breathtaking. Glacier is huge!! 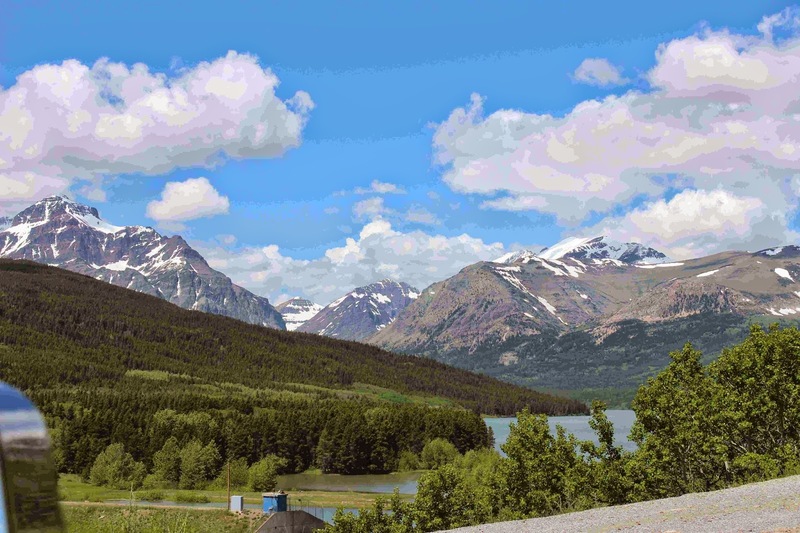 Over one million acres with 12 large lakes and a total of 700 lakes in all. It is bigger than some states, but there are few roads and much wilderness. 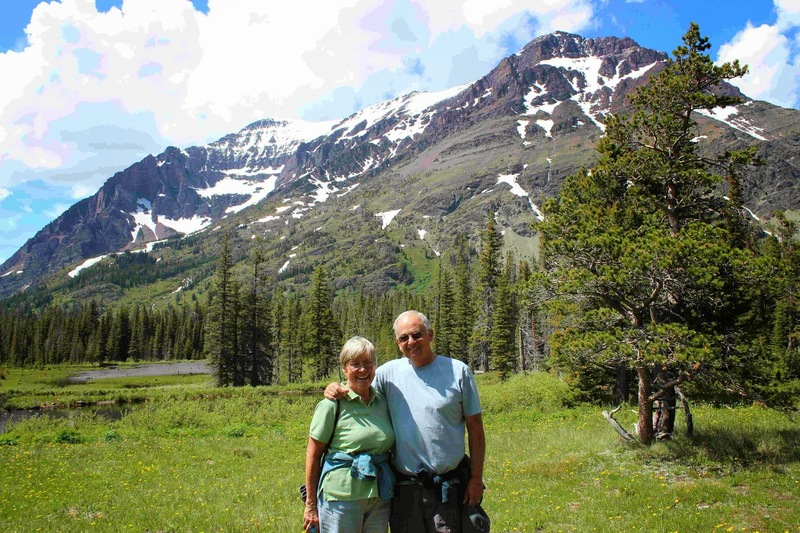 Jan and I headed up the Aster Park Trail. That was to give us a great overview of the lake and campground. 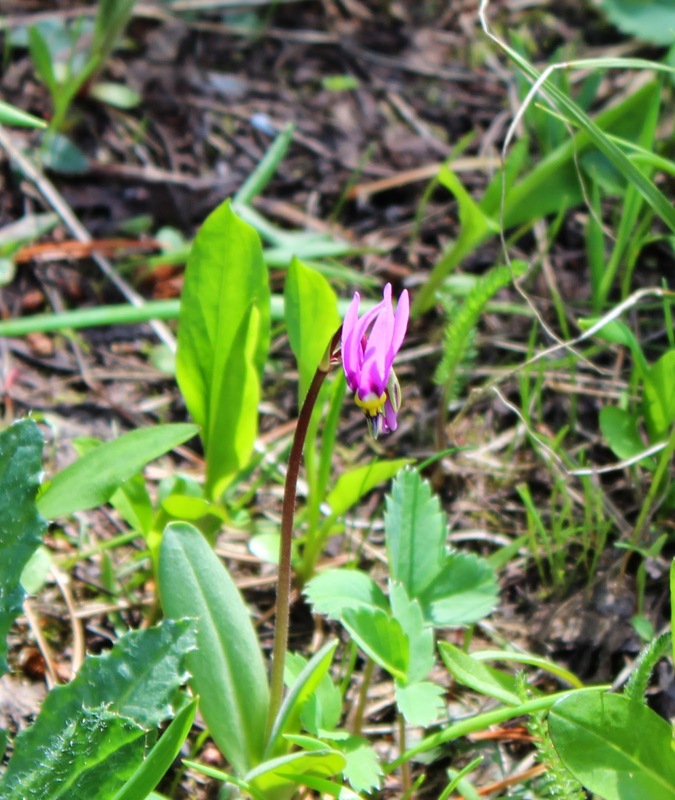 Along the way are small flowers --some that we saw blooming weeks ago at lower elevations. We are now at about 5,000 feet of elevation. We kept crossing paths with a nice young couple. We offered to take their picture--it was their 14th wedding anniversary--and they offered to take ours. Didn't break the camera--so I guess we're good. 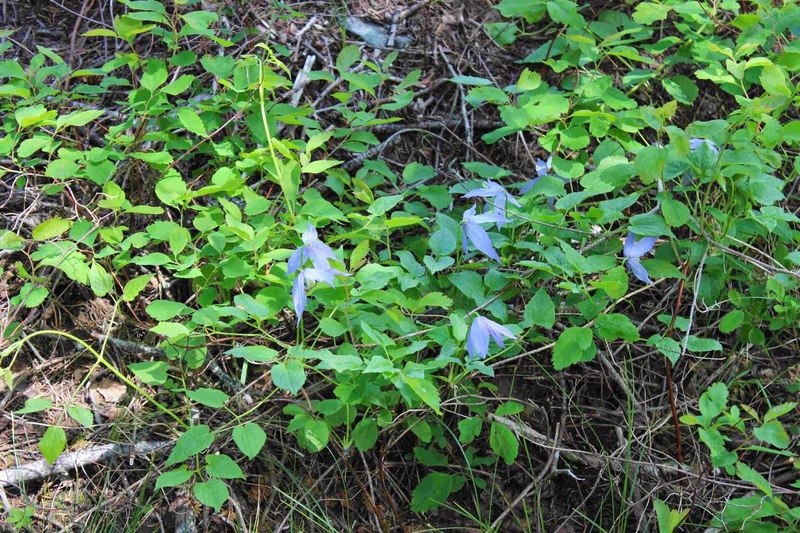 These blue flowers, we had not seen before. Jan had a chance to use the new camera. We remember that Grampy used to say, "Atta girl!" 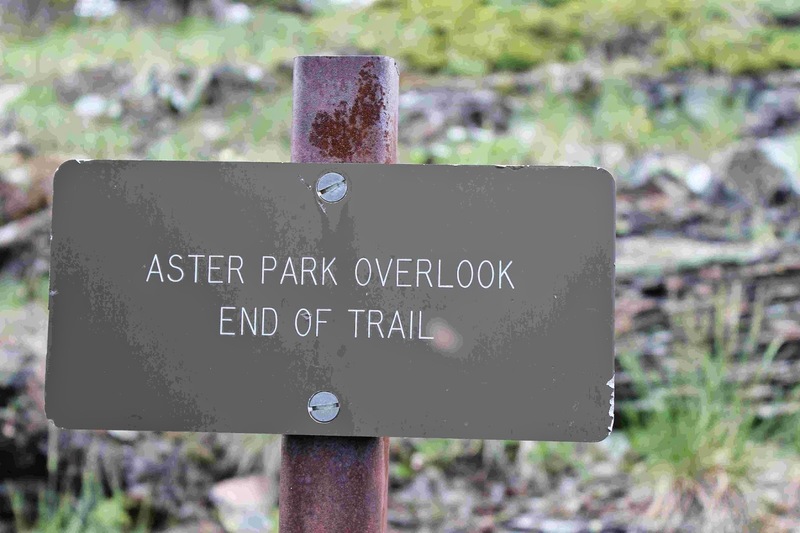 "End of Trail" sounds a little scary. Oh, I guess they didn't mean "that". We finally make it up to the viewpoint, close to the treeline. 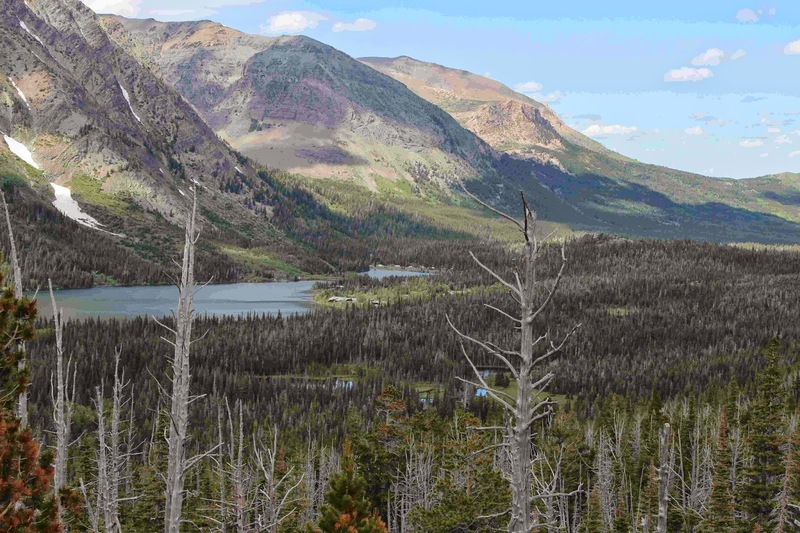 This panorama shows you the bordering mountains-some of them 9,000 feet or more. Our Lady Blue and the campground are at the right end of the lake. So now you can see some of the campers at the end of the lake? Always like to add pictures of old cars. 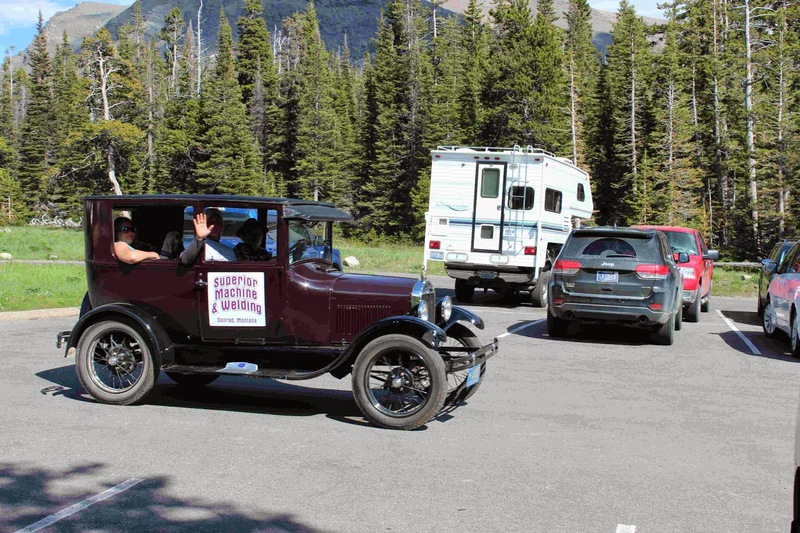 These are adventurous antique owners, because it is a long, long ride to a town of any size. Two medicine was a great stay. You could spend a day kayaking on the lake, climbing trails, or just sitting and enjoying the scenery. 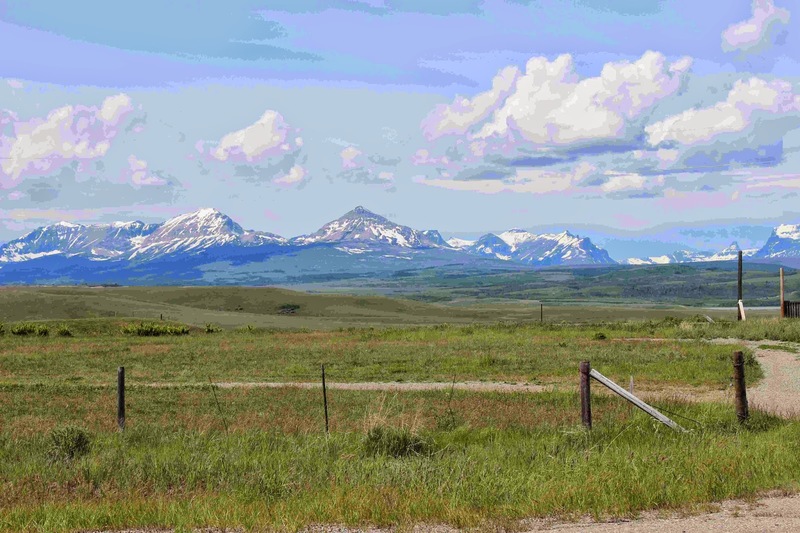 But the next trip is all the way out to Route 2 again and then up to Browning and Route 464 for a way into Many Glacier.